A new biography provides an intimate portrait of Marxist historian Eric Hobsbawm as his life ebbed and flowed with the left of the last century. January 25, 1933 saw the last demonstration before the Nazi seizure of power in Germany. Countering the Nazis’ provocative march in support of fascist “martyr” Horst Wessel three days earlier, 130,000 Communists advanced past Liebknecht House on Berlin’s Bülowplatz, as temperature hit -15 °C. In the biting frost and cutting wind, workers and the unemployed in dingy coats, thin jackets, and tattered shoes filed past the Communist Party headquarters with clenched fists, shouted slogans, and marching bands. But this was to be the party’s funeral oration. Adolf Hitler was proclaimed Chancellor on January 30, sparking a wave of arrests and executions that many of the marchers would not survive. A fifteen-year-old Eric Hobsbawm — dressed in his blue mackintosh with makeshift winter padding sown inside — was among the workers as they sung the Internationale and Auf, auf zum Kampf, zum Kampf. Until his last days he kept the tattered song sheet of the verses he had once sung with his comrades from the Socialist School Students’ League. As Evans notes in this deeply personal and candid biography, “in this highly politicised atmosphere it was perhaps hardly surprising that Eric soon became interested in the Communist cause.” And it was one the historian would stick by. Yet Hobsbawm was also a particular kind of Communist. He would later admit that the “most formative political experience” of his life was the split between the Communist Party of Germany (KPD) and the Social Democratic Party (SPD). He had been won to Communism under the Comintern’s Depression-era “Third Period” policy, which advocated frontal clashes with the SPD. But he would then make a lasting commitment to the policy adopted in 1935 as a corrective, the “Popular Front” of progressive forces. This approach would structure his political responses throughout his career, including the altogether different challenges the labor movement faced in Britain during the late 1970s and 1980s. As a young man his work ethic and reading — which Evans meticulously recounts from Hobsbawm’s personal diaries — was extraordinary. He read voraciously from an early age, often in Marylebone Public Library: literature in three European languages and all the classics of Marxism he could get his hands on. By 1934 — aged seventeen — he had been through Capital Volume I, The Communist Manifesto, The Critique of Political Economy, The Poverty of Philosophy, the Marx-Engels Selected Correspondence, The Eighteenth Brumaire, The Civil War in France, Anti-Dühring, Lenin’s Materialism and Empirio-criticism and Imperialism: The Highest Stage of Capitalism, Engels’s Socialism: Utopian and Scientific, as well as the speeches of Lenin, Wilhelm Pieck, and Farrell Dobbs. His diaries from the 1930s were largely populated by notes on the books he had read and the walks he had taken. Hobsbawm admonished himself in his diary for not working harder: “Drown yourself in Leninism. Let it become your second nature.” After reading twelve pages of Lenin, Hobsbawm noted: “Astonishing how that cheers me up and clears my mind. I was in a total good mood afterwards.” “This is not the feeling that most people have after ploughing through Lenin’s theoretical works,” Evans notes. “I read, eat, think, sleep … Buy books – Day Dream …” Hobsbawm confessed. When not studying historical materialism, his encounters with the British working class were only from afar. The workers he observed by Paddington Station were to him “Rough, brutalised by their milieu, undernourished and weakly, they are still — and I’m not speaking politically — more ‘human beings’ than the people I know.” This romanticism was not, however, to last. People for whom politics is merely a gymnasium for their conscience and culture …. Koestler compares his relationship with Russia with love. But the creation of a new world is not to be compared to a honeymoon. What do they understand of the vigilance of the old functionaries, who know what it is to make a revolution? It was at the beginning surely not easy for Dzerzhinsky to have people shot. What keeps them going and sustains their objective cruelty? Trust. Belief in the proletariat and the future of the movement …. The boundary between revolutionaries and counter-revolutionaries among intellectuals runs between believing in and doubting the working class. The polarisation of Hobsbawm’s legacy after 1989 mystifies his repeated condemnations of Soviet policies after 1956 as well as his partial equivocation when it had fallen. Yet after 1989 he criticised the USSR as a “nightmare,” Communism as a “blind alley … or at least a historical detour,” and argued that “Socialism in one country” had been nothing but a mistake. Although Hobsbawm had welcomed Mikhail Gorbachev’s reforms, he was seriously shaken by the collapse of the USSR. He not only predicted violence and war in the former Soviet republics but also argued that this upheaval would also put social reforms in the West in jeopardy. From the 1950s Hobsbawm’s daily life was punctured by academic conferences attended, dissertations written, journals edited, countries visited, books or articles written, and the promotions he was denied or given. Special Branch reports recount that Hobsbawm never sold the CPGB newspaper Daily Worker nor took part in usual party activities like meetings or pickets. Hobsbawm’s quotidian rituals (bar his salacious escapades in London’s Soho district filing “meticulously researched” copy on “strip clubs” and the jazz scene for the New Statesman) would not have raised eyebrows in any university common room. On his way to Birkbeck he would regularly bump into Michael Foot on the number 24 bus from Hampstead (Michael getting off at Parliament, Eric at Goodge Street). Evans’s book shows the ordinariness (and to some extent, the increasing complacency) of a radical intellectual’s middle-class existence. The contradictions which grow out of this lifestyle only strengthened as Hobsbawm’s international fame and success mounted. Hobsbawm’s ignorance of the practical activities of political organizing, however, left him more time for intellectual reflection and study. The process by which Hobsbawm the historian worked is described in intricate and textured detail by Evans; his office door at his house on Nassington Road by London’s Hampstead Heath was left slightly ajar, pipe smoke swilling to the ceiling. Two desks would be surrounded by open books and amassed papers which threatened to swallow him. He complained that fatherhood had been “slowing down my productivity” and exhibited an inability to cook or wash up (he was consigned to drying). Evans paints a picture of Hobsbawm as all-consumed in the amassing of knowledge — so much so that he once was so transfixed by a book he was reading on the number 24 bus that he failed to recognize his daughter sitting down next to him. His total focus brought results. His multitude of books displayed a style of history writing which was both accessible and cogent — this being partly fed by his lecture notes for Birkbeck students. Books likePrimitive Rebels, The Age of Revolution, Labouring Men, Industry and Empire, Bandits, Revolutionaries, The Age of Capital, The Invention of Tradition, Worlds of Labour, The Age of Empire, and Age of Extremes shaped the thinking of generations of historians. While none of Hobsbawm’s books was published in the USSR before 1989, he had incredible success in Latin America and India and was published in dozens of languages across the world. Not sharing his subject’s political or intellectual worldview, the Marxism which deeply informs Hobsbawm’s work however takes a backseat in Evans’s narrative. Ironically, this theoretical heritage of his books appears less prominently than their commodity form and exchange value (with meticulous breakdowns of accrued royalties and a graph of the historian’s changing income). Hobsbawm would become one of Britain’s most influential public intellectuals. He was especially important as a political figure following his Marx Memorial Lecture of 1978 entitled “The Forward March of Labour Halted” — which argued that the labor movement could no longer take for granted a continual expansion of working-class strength on which basis it could assume future success. As Hobsbawm’s more politically charged engagements in the pages of Marxism Today, the Guardian, and the Times found traction in the Labour Party (Neil Kinnock called him his “favourite Marxist”), he came more and more into the public eye. Hobsbawm’s ire focused particularly on the “hard left,” made up of the triumvirate of Trotskyists, Bennites, and hard-line Communists. 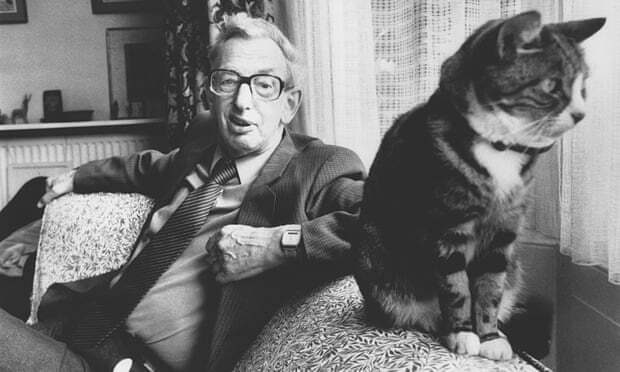 Hobsbawm was a stringent critic of what he called the “retreat into extremism,” wondering if its adherents — like miners’ leader Arthur Scargill — were “living in the same country — even on the same planet — as most of us.” Evans has uncovered previously inaccessible personal letters, like one sent by Hobsbawm to Ralph Miliband in January 1984. In it he characterized the Left of 1980s Britain as divided between a “sectarian” against the “non-sectarian” left, noting approvingly that his own ideas had been taken up by the “soft-left” Labour leader Neil Kinnock. Tony Benn and the “hard left: didn’t have a monopoly on the “left,” he argued. Anyone who ever challenged Hobsbawm from the Left — with the exception of Perry Anderson — gets short shrift in Evans’s narrative. The great irony, here, is that those elements of the supposedly out-of-touch, “sectarian,” “hard,” and loony left which Hobsbawm had counterposed to the “rational left” under Thatcher are in 2019 leading the Labour Party. The “rational left” which Hobsbawm had sought to orient toward (and who provide the name of his book of Marxism Today essays from the 1980s) now largely stand on the opposite side of the divide. Neil Kinnock, former Labour leader, and Giorgio Napolitano, Italian president from 2006–2011 (whom Hobsbawm interviewed for a book on Italian Communism), are the most glaring examples. These one-time sober and responsible reference-points for Hobsbawm’s broad democratic alliance have become the fiercest defenders of the neoliberal consensus, while those who were marginal in the 1980s have now become central. Yet this curious (and awkward) turn of events doesn’t make it into Evans’s narrative, which ends with Hobsbawm’s death in 2012.
the overriding task was to ensure the restoration at any cost of a “moderate” leadership capable of attracting middle-class voters back to the Party — regardless of the obvious fact that it was just the exhaustion of this kind of traditional Labourism, demonstrated at dismal length through the 1970s and late 1960s, which had led to the rise of the Left in the first place. Views on Hobsbawm’s legacy have sometimes been polarised, especially under the force of the free-wheeling condemnation during the triumphalism that met the collapse of the USSR. Evans’s biography seeks to personalise that story, to showcase Hobsbawm’s own intimate and unedited voice. The twenty-three archives and libraries visited in preparation of the book as well as the eight hundred pages exhibiting the results offer unparalleled access to Hobsbawm’s personal life. That said, this focus on his “inner life” diverges from how Hobsbawm saw his own place in history. In his autobiography, Interesting Times, he rarely chose to use the pronoun “I,” instead preferring the first-person plural. That the historian’s own personal history, in the singular, could be written only after his death indicates the staying power of his past commitment and intellectual project. After the short twentieth century reached its end, the concrete boundaries of Hobsbawm’s progressive collective subject narrowed. It increasingly took form in those genteel intellects who could fit around the dinner table at Nassington Road, rather than the living, breathing, workers of the world. For those, like Evans, who never shared Hobsbawm’s political project but existed in the same milieu, this change is no great loss. This growing disconnect is not probed: indeed, it is the very thing which made Hobsbawm, as the title of the book’s last chapter puts it, a “national treasure” worthy of biography rather than the disdain reserved for his more steadfast comrades beyond the pale of the rational left. Tens of thousands of pasty-pale faces that expressed not only their poverty but also their willingness to sacrifice themselves for a cause that they believed was the right one. Their rough voices spoke out their hate, a hate that was justified a thousand times over, for a social system that had condemned them to poverty and misery and their protest against the grotesque insanity, the screaming injustice of our social circumstances. As a dynamic new generation of socialists face a planet in crisis and an imperious and self-assured far-right, the urgency of Hobsbawm’s youthful commitment speaks just as forcefully to their future as his extraordinary oeuvre. For their sakes — and for the planet’s — let us hope their “times” are not only “interesting” but successful. Sinking in first class is not an option for those who can’t afford tickets. Richard Evans’ Eric Hobsbawm: A Life in History is available from Little Brown Books.